Investing in business network performance can yield a high return on investment. Research has found that stronger network performance is associated with more profitable companies, due to cost savings, increased productivity, and lower risk. Not having to worry about the network or constantly troubleshoot it or discover bottlenecks that impede progress are result in your ability to increase the bottom line. If your organization is evaluating the best SD-WAN solutions, you’re on your way to unlocking better network availability, reliability, and reduced administration costs. But which SD-WAN is the best? How do you know the difference between vendor marketing and solutions which will lead to superior network performance? According to Gartner, there are over three dozen options for SD-WAN administration. The same survey found that shoppers are overwhelmed with their choices due to a lack of familiarity with the technology and skepticism about how reliably options can perform. If you feel the marketplace is confusing or crowded, you're in the majority among your IT peers. I had one CIO tell me that at a Tech Council cocktail party, he got over five different answers to the question, what is SD-WAN? 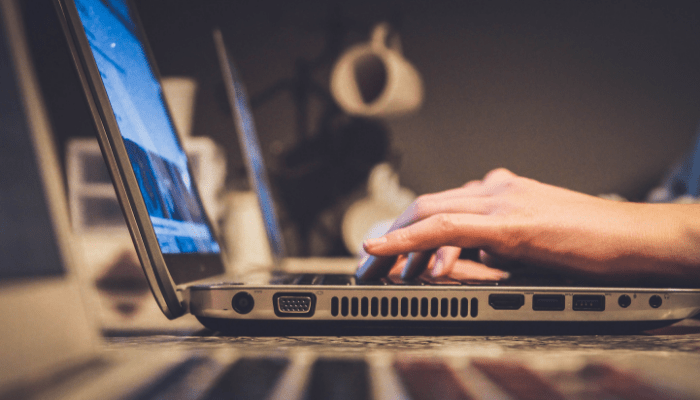 To find vendors and platforms which fit your business requirements, it's important to consider many different factors such as performance, reliability, and ease-of-use. In this blog, we'll show you why not all SD-WAN solutions are the same, and how to compare your options to find the right one. Software-defined networking within a wide area network, or SD-WAN, is a technological approach to simplifying enterprise network management. SD-WAN solutions offer a centralized, user-friendly administration interface and features to measure performance across multiple networks continually. SD-WAN solutions introduce automation to performance management by allocating network resources in real-time and as needed. SD-WAN may consist of physical hardware, virtualized servers and interfaces using the cloud. Organizations may have SD-WAN devices located on-site in a data center, though the cloud continues to be increasingly common. SD-WAN is an affordable alternative to traditional branch routers and Multiprotocol Label Switching (MPLS) networks. Learn more in SD-WAN Explained: Answering the Common Misconceptions. The best SD-WAN solution for your needs can help your organization solve both current and future problems, and accommodate a growing portfolio of data and digital services. In the past, making changes to business networks required lots of time, resources and often manipulating configurations using a command line interface. If a business network went down or wasn't performing well, an IT tech needed to be physically dispatched on-site to make changes. Which always seems to happen on a weekend, family holiday or a sunny day when everyone would rather be enjoying themselves! SD-WAN solutions are designed to simplify the administration of multiple WAN by offering a single management portal. The result is, if you have network access, you can do what you need to do. But, it can be done securely so not just anyone else with network access can get in. At a minimum, your solution should offer zero-touch provisioning in the cloud to quickly create a new WAN or make other significant changes. Zero-touch refers to the ability to create a new WAN without any technicians or experts on-site. As long as minimal network hardware is plugged in, the SD-WAN solution should make it easy to provision services remotely and optimize resource performance across multiple sites and cloud environments. Zero-touch provisioning in the cloud is among the most popular cost-savings benefits of SD-WAN technology. To further simplify network administration, purchasing cloud-based SD-WAN from your vendor for business Internet services can allow considerable gains in transparency. When connectivity, data, and performance are integrated, businesses achieve the benefits of visibility across services. Consolidating vendors can lead to increases in application performance, network performance, and stronger security. The best solutions for SD-WAN can make it easier for your organization to adopt more cloud apps and services. While 30% of IT budgets are currently dedicated to cloud adoption, many organizations are unable to fully appreciate cloud benefits such as greater agility and cost savings. Poor network performance can be a barrier to cloud optimization for many organizations. If your network is unreliable, cloud applications cannot perform reliably across cloud environments and on end-user devices. The result is, you're wasting your money on the cloud app that was supposed to make things better. A reliable connection to the cloud is necessary to realize the full scope of benefits associated with cloud adoption. The best SD-WAN solutions offer automated tools to reliably connect physical and cloud environments. If you are bundling in fiber-optic Internet connectivity and cloud services with the same vendor, you may be able to create comprehensive quality-of-service (QoS) rules to guarantee reliable cloud performance. An SD-WAN solution should operate as a “single pane of glass” into total network performance across the business network, users, and cloud environments. The SD-WAN Management Orchestration console must offer visibility into your business WAN, connectivity with your network provider, remote workers, local branches, and cloud infrastructure. Evaluating the orchestration portal is critical to adopting an SD-WAN which delivers value. Ensure proposed solutions make it easy to manage networks, update policies, and take corrective action across your resources. The best SD-WAN offer powerful capabilities to accelerate your digital transformation journey. Many organizations discover adopting software-defined WAN solutions in the cloud is surprisingly easy. SD-WAN cloud solutions don’t require businesses to replace existing networking hardware. Most IT professionals can very quickly learn how to use central management tools. In modern business networks, it's common for configuration and performance requirements to change very quickly. The best SD-WAN solutions can introduce automation into complex network management workloads, even as your organization's workload requirements increase. It should remove barriers to cloud adoption with features such as RiverBed SteelHead, which provides simple cloud-to-cloud connectivity that’s as simple as turning on a virtual machine. SD-WAN technology should make your IT team more efficient by automating bandwidth usage and traffic prioritization across multiple networks. Software-defined WAN can introduce agility by diminishing the workload on the IT team, allowing talented tech pros to focus on innovation and strategy. Atlantech Online has been in the business communications technology space since 1995. To meet our organization’s internal network performance requirements, we use Riverbed SteelConnect. Before we choose Riverbed SteelConnect, we evaluated other solutions very carefully. Our ultimate decision was based on value for cost, ease-of-use, and flexibility for our customers. Riverbed excels at offering policy-based orchestration of WAN and zero-touch provisioning features. At Atlantech, we don't just offer SteelConnect as a service for our customers. We manage it fully by providing the hardware in-house. Our expert technicians have the certifications and training necessary to deploy Riverbed technologies for customers. Before you make a decision about data services for your business, it's important to understand the right questions to ask to drive value with your new solution. 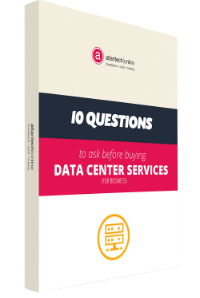 To learn about the most critical questions to ask to evaluate providers based on quality and value, download the free eBook: 10 Questions to Ask Before Buying Data Center Services for Your Business. If your business is located in the greater Washington D.C metro area and would like to explore options for network performance further, call us today at 800-256-1612 or start a conversation here.